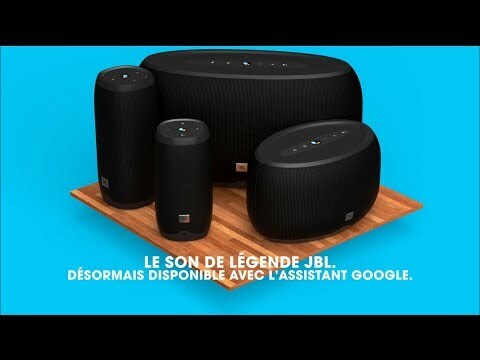 JBL Link 10 est évalué 3.9 de 5 de 172. Rated 5 de 5 de Anonyme par Perfect balance of bass! 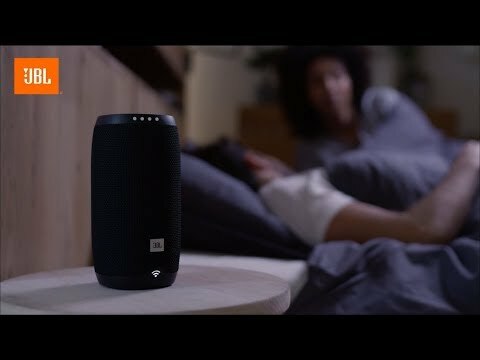 The JBL Link 10 is perfect! I’ve used it connected to my desktop computer to enhance the sound and couldn’t be more satisfied. The sound seems to be a million times more clear and JBL did a great job on balancing the bass on it, perfect amount. I’ve also used the google assistant and it has been my personal assistant now, made my house smart and I can now turn the lights on and off with its help. Rated 5 de 5 de Adam S par Excellent Smart Speaker The JBL Link 10 is an excellent smart speaker. The speaker looks and feels great. It's slightly smaller than the Charge, but it sits upright, so it doesn't feel too big. All the buttons are easy to get to as well as the charging port. There is a cover over the charging port to make the speaker water resistant. Setup is easy and quick. It took about 5-10 minutes out of the box until it was connected to the internet and playing music. I had never used Google Home, so the setup time includes downloading the Google Home app and preparing that as well. The sound is good. I wish it had a little more bass, but it gets the job done. The 360 sound makes a difference. I mainly use the speaker in the kitchen while cooking and it fills the room easily. The wireless functionality means you can take the Link 10 anywhere in your house or backyard. This is the first time I've used a Google Home device. It seems to fall in line with other smart home devices. Playing music and asking questions/weather is very easy. It can also be setup to control smart lights and thermostats. Setting up more complex actions will take more time and a greater understanding, but it can do a lot more than I know how to do. The mic picks up your voice through ambient noise very well. This is a great smart speaker and I would recommend it to everyone. Rated 5 de 5 de Chris713 par Google assistance is awesome... Love Love Love this speaker. Sound quality is fantastic, currently sitting in my kitchen. My wife uses it to listen to music and receipe ideas. Jbl rocks! Rated 5 de 5 de Robert85 par Superb Sound! The sound on this thing is crazy good. I usually have music playing when I'm home and this thing sounds like a stereo system. And the bluetooth quality is great. It can pick up my voice from the next room. If you're thinking about getting this thing just pull the trigger. Worth it. Rated 5 de 5 de kingfish94 par Excellent wi-fi speaker The ‘feel’ of the speaker (fit and finish) is very, very good. This speaker is well suited for one hand operation. It has lots of bass plus lots of highs that I find very appealing to listen to. The buttons on the top are well placed In their layout. Excellent battery life – around 4 ½ hrs. Easy to connect to wifi. My favorite part about this Google enabled speaker, is that it can play thousands of audible books using the app Google Play Music! Very nice speaker ! Oui Deezer ou Spotify (mais vous pouvez utiliser un compte que vous avez d&eacute;j&agrave;, il n'en faut pas un nouveau), par contre vous aurez acc&egrave;s &agrave; des milliers de radio gratuitement par le service Tune In avec lequel google a un partenariat. Avec l'appli vous pouvez parcourir les radios et demander &agrave; votre enceinte de mettre telle ou telle radio.